Tom Sykes says he can’t wait to bash fairings with the likes of Troy Bayliss and Noriyuki Haga at Brands Hatch next month. 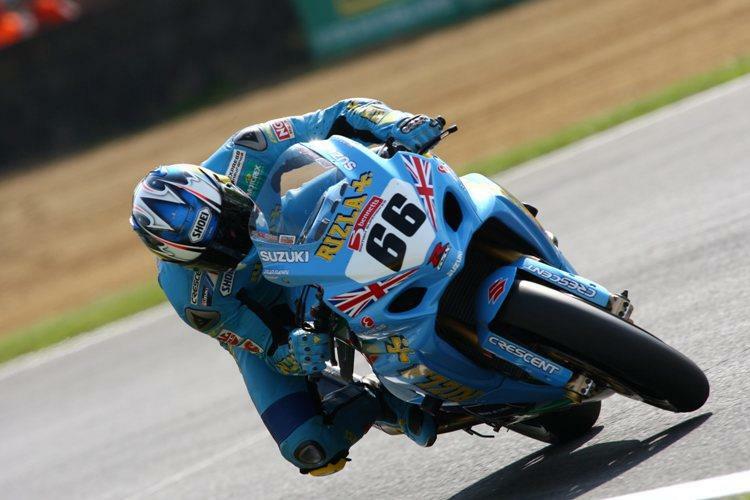 The Rizla Suzuki man will be wildcarding at the ninth round of the WSB championship at the Kent circuit. And the 23-year old Huddersfield rider has high expectations come August 3rd. He said: “I’m very excited about World Superbikes at Brands Hatch and I‘m really looking forward to racing there. “I know it will be a learning curve as I need to get my head round Superpole and everything but I think it will be good. “I’m looking forward to brushing elbows with Bayliss and Haga; I’m planning on making the most of it and putting on a good show for myself and Rizla Suzuki. “To be honest I’d like to be in the top three, I’m definitely going there for a podium and I can’t see why we wouldn’t achieve it. “I want to run at the sharp end, obviously a win would be better and if there is a chance of that I’ll take it. Team Manager Jack Valentine is also buoyant about his man’s opportunity against the World Superbike field. But he’s admitted that he’ll need to get his head around Superpole in order to have any chance to mix it with the top names. Valentine said: "Tom has been riding well and we had a good set-up when we were at Brands Hatch earlier in the year, plus our Rizla Suzuki has come on since then so I think we are on for a strong showing. “There will be a certain amount of pressure being on the World stage but we will just be going about our business as usual. “World Superbike riders take no prisoners and the depth of the field is immense, so our first objective is to get into Superpole. “Tom hasn’t had to use a qualifying tyre all year and he has never done Superpole so that will add to the pressure, but I’m confident he can bang in a fast lap and put us on the front two rows.